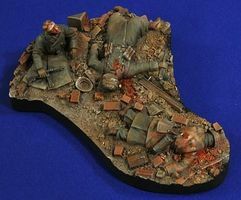 Shop online for 53 verlinden plastic models at discounts up to 23%. 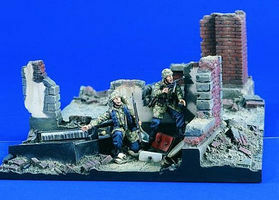 Figures is the most popular of the 4 verlinden plastic models categories, then Parts/Acc., and Dioramas. This is the 1/35 Scale Fallschirmjager Assault Team Resin Model Military Figure Kit by Verlinden Productions. 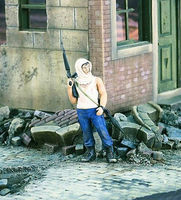 This is the 1/35 Scale Iraqi Insurgent with Rifle Resin Model Military Figure Kit by Verlinden Productions. 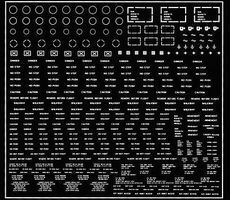 This is the 1/32-1/48 Scale Grey A/C Stencilling Plastic Model Aircraft Decal by Verlinden Productions. 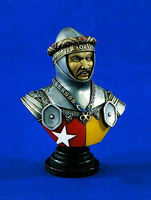 This is the 1/16 Scale 120mm Earl of Oxford Bust Resin Model Figure Kit by Verlinden Productions. This is the 1/35 Scale US Modern Soldier Gear Plastic Model Vehicle Accessory by Verlinden Productions. This is the 1/35 Scale Lone Survivor Diorama Base (Wounded/Dead Soldiers) Plastic Model Military Diorama by Verlinden Productions. 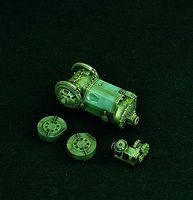 This is the 1/35 Scale Panther Tank Transmission Plastic Model Vehicle Accessory by Verlinden Productions. 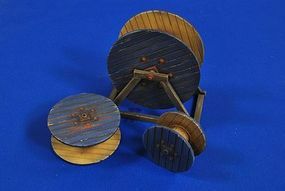 This is the 1/35 Scale Cable Reels (3) Plastic Model Vehicle Accessory by Verlinden Productions. This is the Building Military Dioramas Vol VII Plastic Model Military Book by Verlinden Productions. This is the 1/48 Scale Mosquito Cockpit Super Detail Set by Verlinden Productions. This is the 1/72 Scale F6F Hellcat Conversion Plastic Model Aircraft Accessory by Verlinden Productions. This is the 1/48 Scale Me109 Underwing Stores Plastic Model Aircraft Accessory by Verlinden Productions. This is the 1/35 Scale Newspaper Salesman WWII Resin Model Figure Kit by Verlinden Productions. This is the 1/35 Scale German T34 Turret Bunker with 2 Figures & Accessories Resin Military Diorama Kit by Verlinden Productions. This is the 1/35 Scale Point Blank Char b1 Bis for TAM Plastic Model Vehicle Accessory by Verlinden Productions. 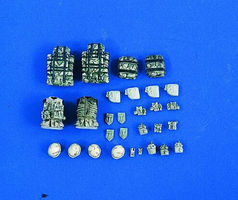 This is the 1/48 Scale F4F4 Wildcat Detail Set for TAM Plastic Model Aircraft Accessory by Verlinden Productions. This is the 1/35 Scale Point Blank Panther G Turret for DML Plastic Model Vehicle Accessory by Verlinden Productions. This is the 1/35 Scale Homeland Defense Diorama (3 Figures with Base) Resin Military Diorama Kit by Verlinden Productions. This is the 1/35 Scale USMC (2) & Japanese POW Resin Model Military Figure Kit by Verlinden Productions.